The Mercado de San Miguel is a sight to behold, and stands in stark contrast to its brick and mortar surroundings. Step inside and you'll find a food lover's eden, and all that's great about eating in sunny Spain! Grab a table then sample a dish from one of the many different vendors inside. Overcrowded and expensive. 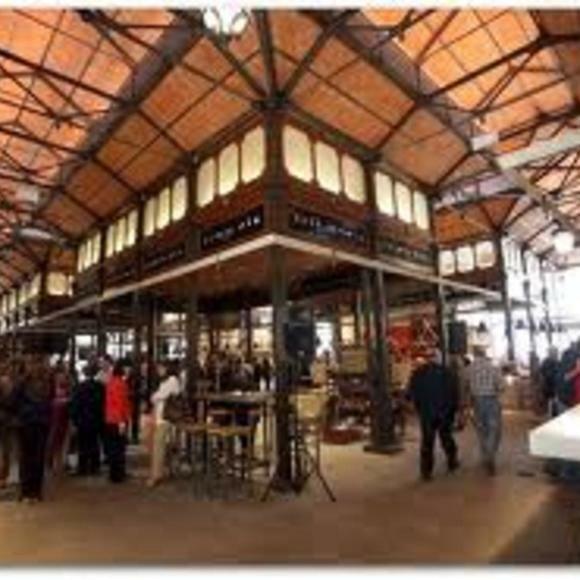 However, the beauty of an old renovated market, as well as the quality and variety of products makes it worth a visit. This Beaux-Arts covered market is one of the oldest in Europe, and its recent renovation (2009) is a must see. Even if you find yourself with a tight schedule, squeeze this place in. For a taste of all things Spanish (cheese, wine, tapas, seafood, produce, desserts) and beyond, this place delivers something for everyone with its more than 30 stalls. All at once a cafeteria, cerveceria and pasteleria. Buen provecho!